When you’re looking to buy a home in the St. Louis metro area, there are dozens of different neighborhoods to choose from. The task of choosing one can be daunting, though, since they all have their own advantages and disadvantages. St. Peters, MO, is a popular area for many people, and it has a wide variety of activities for everyone. As with any neighborhood, however, it’s important to do your research before searching for homes for sale in St. Peters, MO, to be sure it’s the right area for you. The average price of houses for sale in St. Peters, MO is about $181,000, according to real estate website Zillow, and home values have increased about 8.5 percent in the last year. 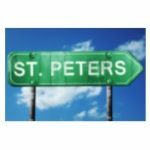 St. Peters also offers fun activities for the entire family, with several parks, the Rec-Plex recreation and fitness center, a golf course, play camps for the kids, and more. Before you start browsing St. Peters, MO, real estate, it’s important to find the right real estate agent to help you buy a home. Be sure to take your time to find the right Realtor for you, because it makes a world of difference when purchasing a house. Look for St. Peters, MO, Realtors who know the area well and have bought and sold homes in the neighborhood, because they are the most likely to get you a good deal on a house. Once you’ve decided that St. Peters is the right neighborhood for you and you’ve found the right agent, it’s time to start searching for your new dream home!